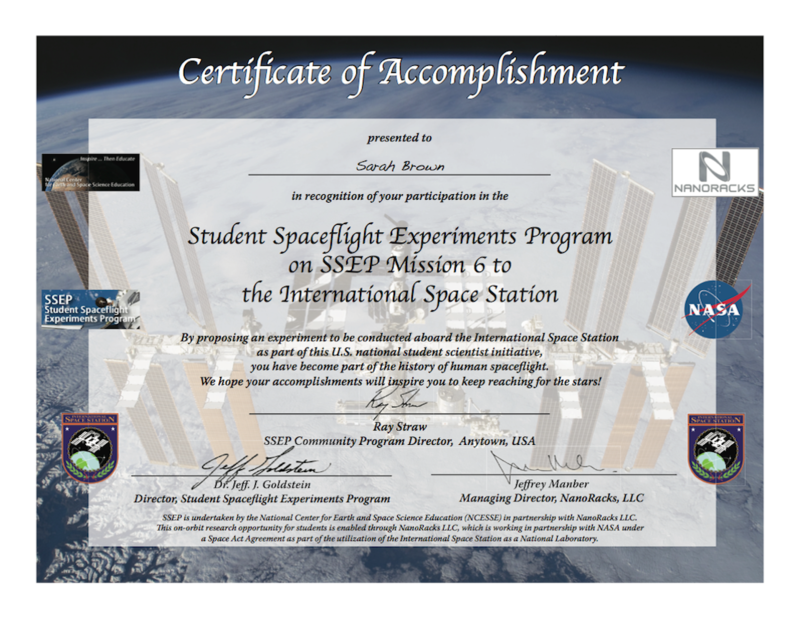 The goal of the Student Spaceflight Experiments Program (SSEP) is to inspire America’s next generation of scientists and engineers, and engage entire communities in the process. In this vein, we believe that it is vitally important that participating students have a lasting recognition of their involvement in America’s and Canada’s Space Program and their role as researchers in real microgravity experiment design, or in public communication through mission patch design. We want them to remember always their part in this program.